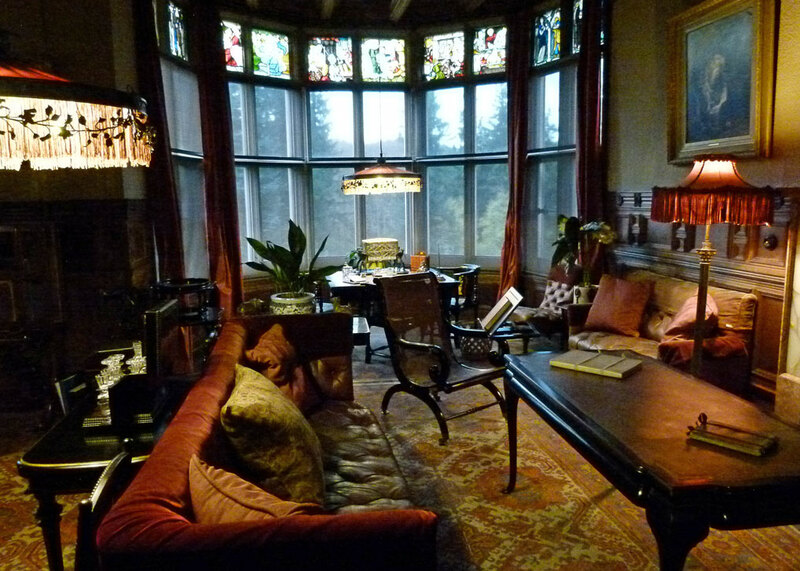 Cragside was the home of William George Armstrong; and William George Armstrong was probably a genius. Born in 1810 in Newcastle upon Tyne, he was one of those irritating people who seems to have been good at everything. Trained as a lawyer, he was an accomplished engineer, inventor, arms manufacturer, international arms dealer, industrialist, philanthropist, patron of the arts, environmentalist, landscape designer, founder of Newcastle University, restorer of Bamburgh Castle and all-round clever clogs. Whilst still in his 20s, Armstrong became a partner in the law firm Donkin, Stable and Armstrong. But he was actually far more interested in engineering, and in the late 1830s he came up with the idea for a hydraulic crane. In 1845 he had one installed on Newcastle’s Quayside and it proved so successful that he gave up law the following year and founded W G Armstrong & Co at the Elswick Works on Newcastle’s Scotswood Road. From cranes, Armstrong moved on to other applications for hydraulics, and to the design and manufacture of armaments. Armstrong built Newcastle’s Swing Bridge in 1876 and produced the machinery to operate Tower Bridge in London when it opened in 1894. In 1854, Armstrong developed an innovative breech-loading, rifled, field gun for the British Army – and has been subsequently been called the inventor of modern artillery. In a spirit of strictly impartial profit-making, he supplied arms to both sides in the American Civil War, including a gun for the Confederates designed to knock-out the Union’s iron-clad warships. As Armstrong Mitchell, the firm went on to build ships, including warships, which were sold to the Austrian, Chilean, Japanese and British navies – amongst others. His firm merged with rivals to become Armstrong Whitworth, which employed 78,000 people on Tyneside during the First World War. Much later, it was taken over by Vickers, and then eventually Vickers Armstrong morphed into BAE Systems, who concentrated armoured vehicle manufacturing at Scotswood Road. It’s all gone now, more than a century of industrial and social history vanished. 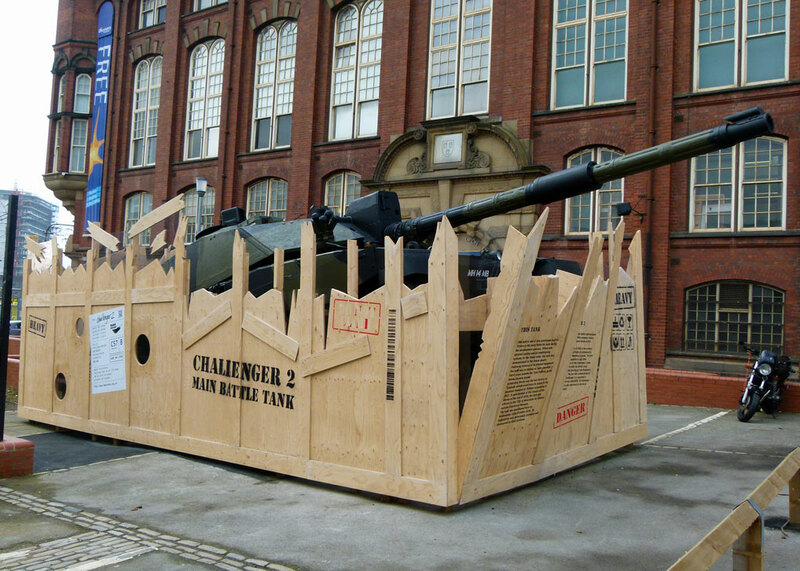 A Challenger battle tank once stood outside the factory; it now sits outside Newcastle’s Discovery Museum, the focal point of ‘Challenger Plaza’, a reminder of Scotswood Road’s incalculable contribution to the heritage and economy of Tyneside. Lord Armstrong, as he became – the first engineer to be raised to the peerage – died in 1900. 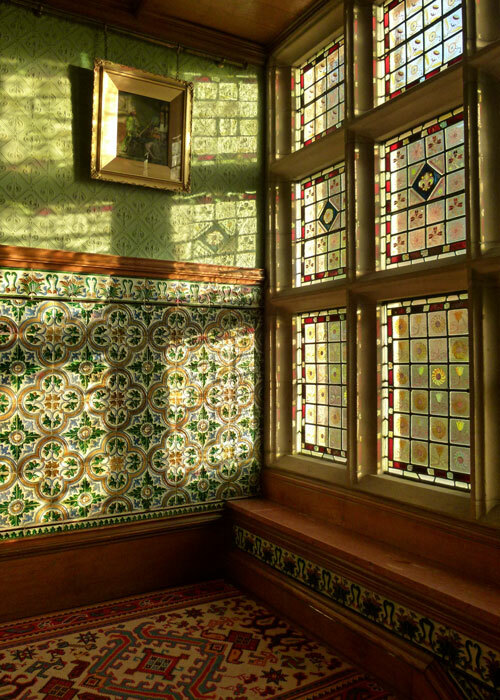 Cragside was essentially a project which he and his wife Margaret undertook with the help of their architect, Richard Norman Shaw. 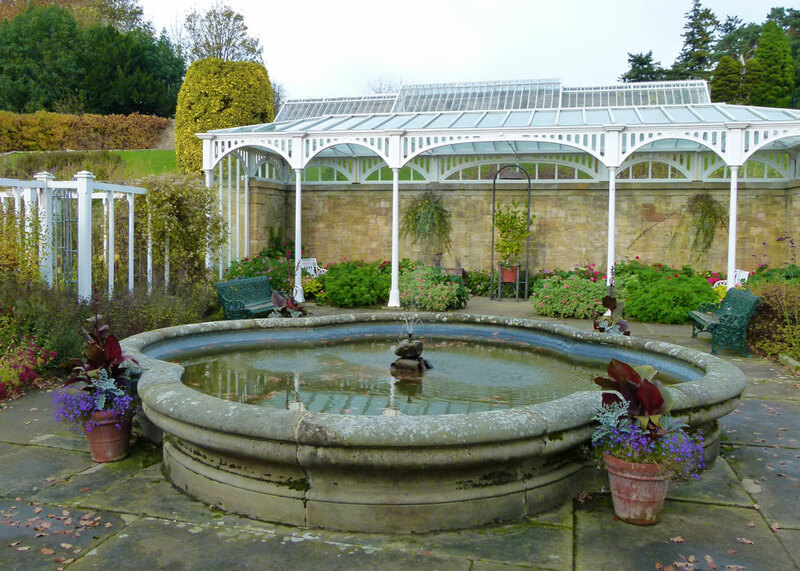 It is an extraordinary place, a dramatic, elaborate, fussy mansion, full of surprises, nestling in extensive gardens and grounds, surrounded by dramatic Northumbrian countryside, and close to the attractive old market town of Rothbury where Armstrong spent time in his childhood. 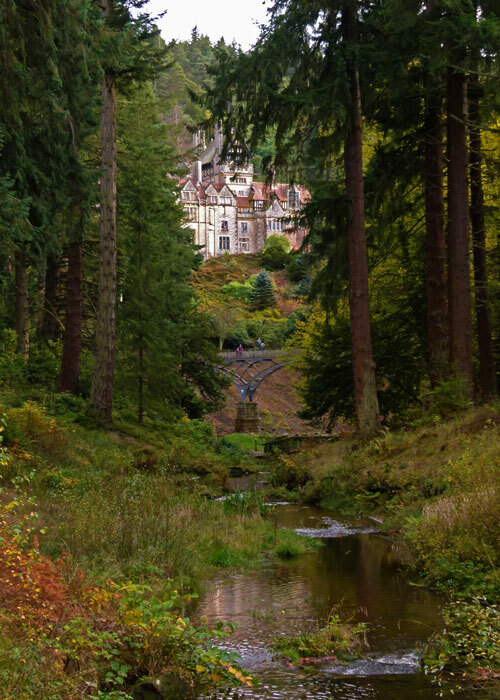 Cragside started out as a modest country lodge in 1863, but grew incrementally over a fifteen year period into something that is now part-house-part-castle. Simon Jenkins, writer and past chairman of the National Trust, sees a fusion of Gothic, baronial Tudor and Jacobean styles and I’m sure he’s right. 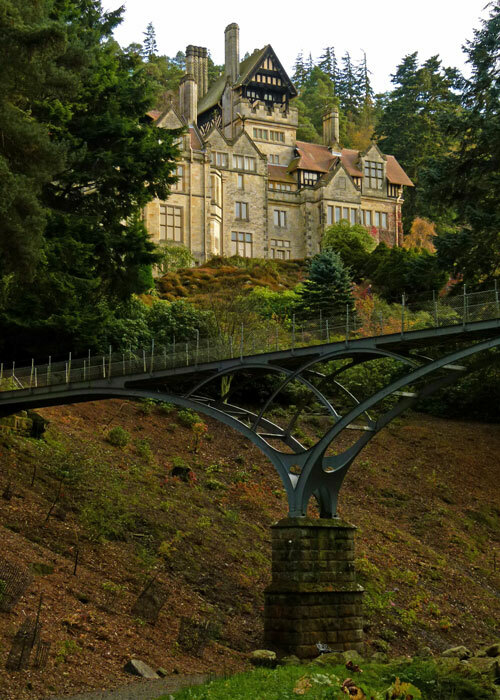 Armstrong stuffed Cragside full of his ideas and gadgets – one of the first telephones, a rotisserie and lift (elevator), both hydraulic and, most famously, in 1878 the world’s first hydro-electric power station. This initially powered an arc lamp in the house, replaced in 1880 by ‘incandescent lamps’ – light bulbs – invented by Armstrong’s friend, Sunderland born Joseph Swann. 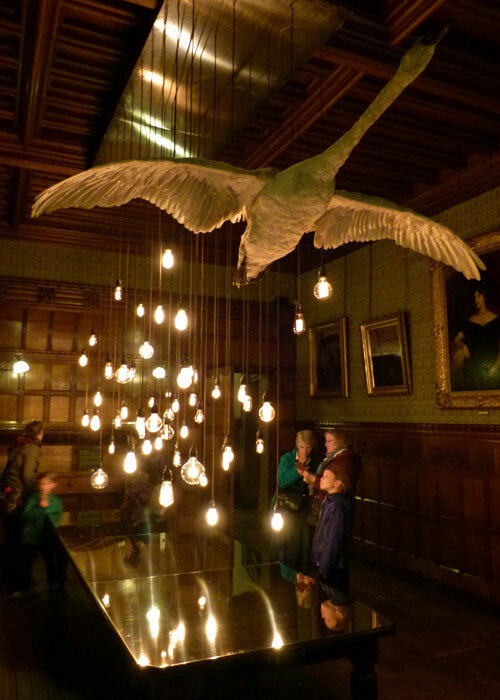 Cragside was the first private home in the world to be lit by electricity. 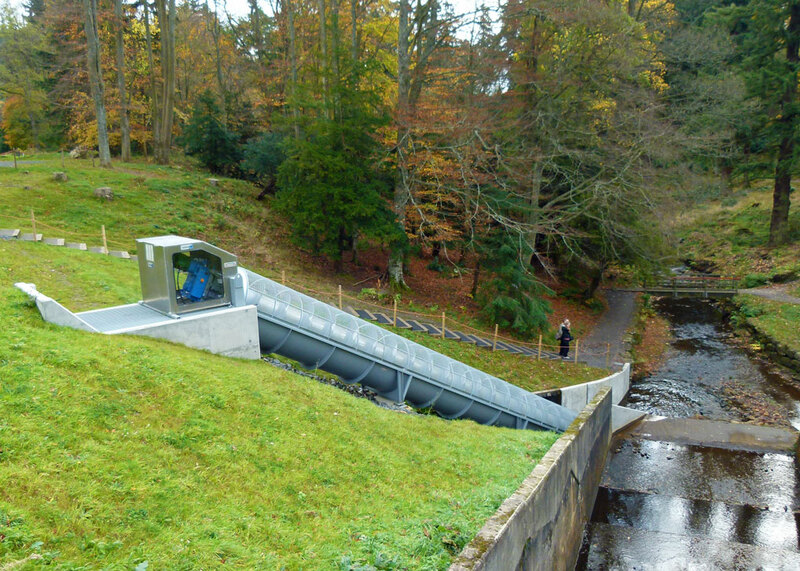 In 2014, the National Trust, which has been managing the property since 1977, installed a 56 foot long Archimedes screw and the property once again generates HEP. In the grounds, the Armstrongs constructed 5 lakes, one of the largest rock gardens in Europe and planted around 7 million trees and shrubs. There are more than 30 miles of footpaths, taking in moorland, woodland, bubbling and tumbling streams, bridges and formal gardens. Wandering the gardens is a sheer delight. 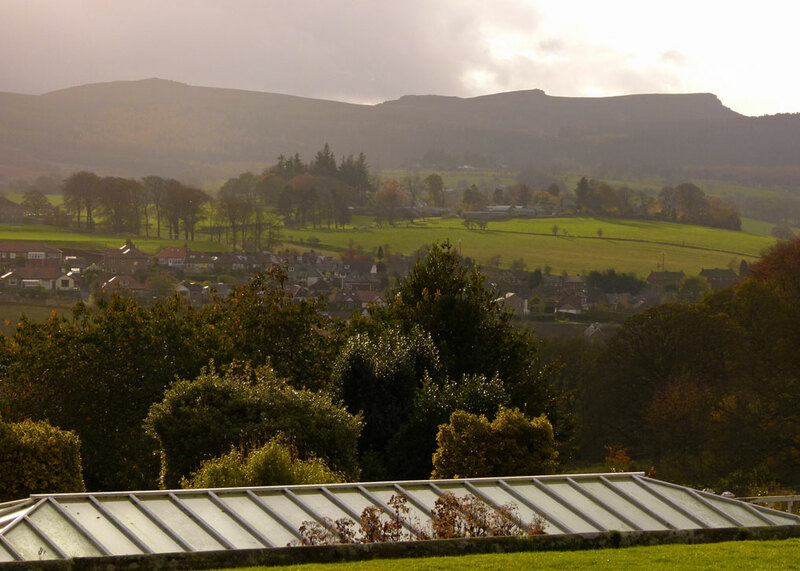 And the view of the house from Debdon Burn is the photo that everyone wants. Personally, I found the house itself impressive but not entirely likeable. Without doubt, there is great beauty there – in some of the windows and fireplaces, for example. 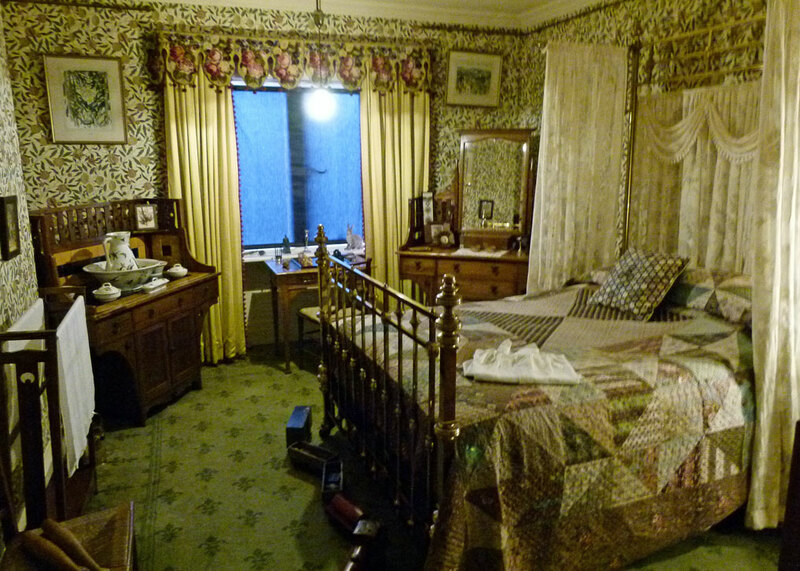 There is no historical drama about the place, but plenty of ostentation; nor did it strike me as a particularly comfortable home – it is not a place I could relax in. 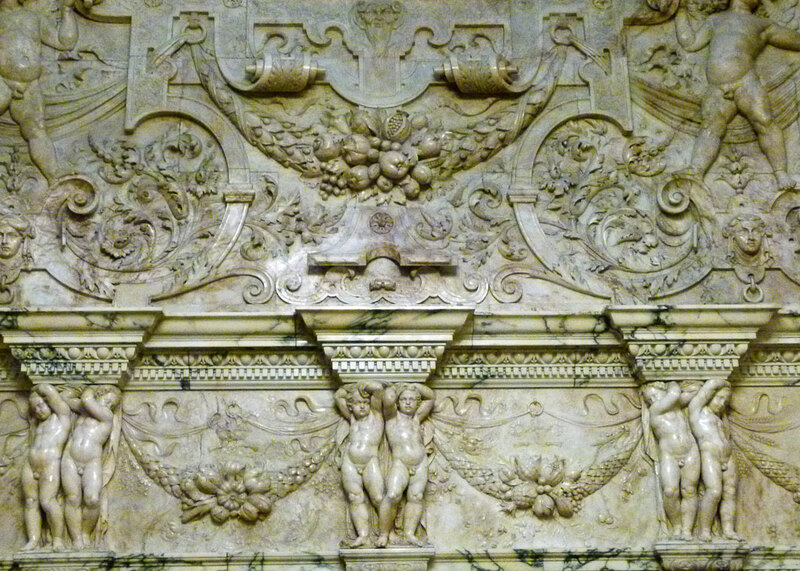 Indeed, the drawing room contains a huge and enormously elaborate Italian marble fireplace which, quite frankly, I found uncomfortably vulgar – like a grossly over the top decorated cake. Interestingly, it was designed to burn peat. However, Armstrong did not simply want a home; he needed a grand palace in which to entertain and impress prospective clients, and visiting heads of state – which sometimes meant the same thing. And that’s exactly what he got. Guests included the King of Siam, the Shah of Persia, the Crown Prince of Afghanistan, the Prince of Wales and the Prime Minister of China. No doubt they all relished the Victorian bling, as many still do. 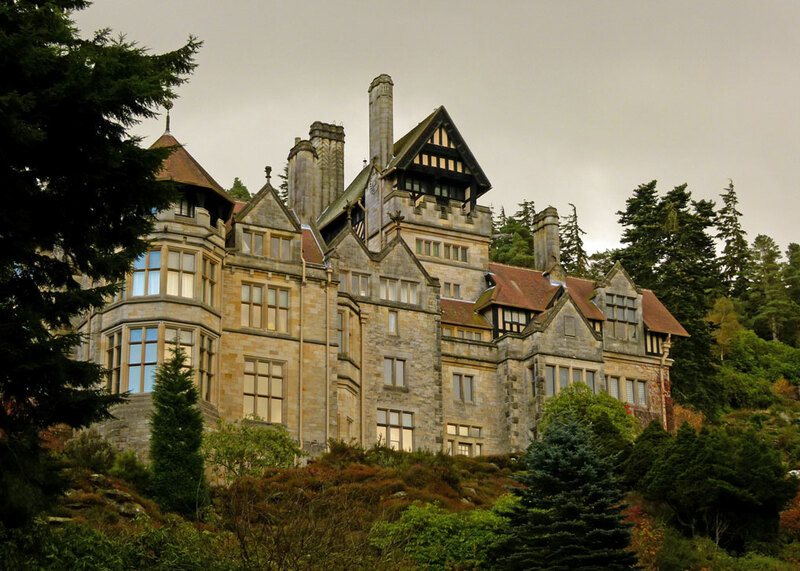 It is nevertheless a fascinating experience to visit Cragside and I’d gladly spend much more time wandering about the magnificent grounds; they must be particularly colourful in the spring. The National Trust does its customary excellent job of preserving and presenting the place and there is the usual, very welcome, comfort facilities and café. Where would heritage be in Britain without the National Trust, English Heritage, Cadw and Historic Scotland? However, I was less than impressed with paying £7.50 for a paltry portion of bland goo that purported to be beef goulash and, more importantly, was underwhelmed by the staff reaction when my dissatisfaction was communicated. You do not have to be a rocket scientist to placate unhappy customers (though I’m sure some are best tasered). Coincidentally, everyone was being invited to complete a questionnaire about the catering; needless to say, our response was quite detailed and included our membership number so that they could follow it up. In their shoes, I would have done – immediately. Regrettably, the National Trust chose not to. It was too trivial a matter for me to pursue, but if anyone from the National Trust reads this – and I know you sometimes dip into A Bit About Britain, you little tinkers – you need to up your game on the customer front. Don’t let my grumpiness put you off, though; everyone should visit Cragside if they can (but not all at once). I would love to walk around those grounds. Thanks again for an interesting and informative post. It does look like a fascinating place, and he sounds like a fascinating guy. 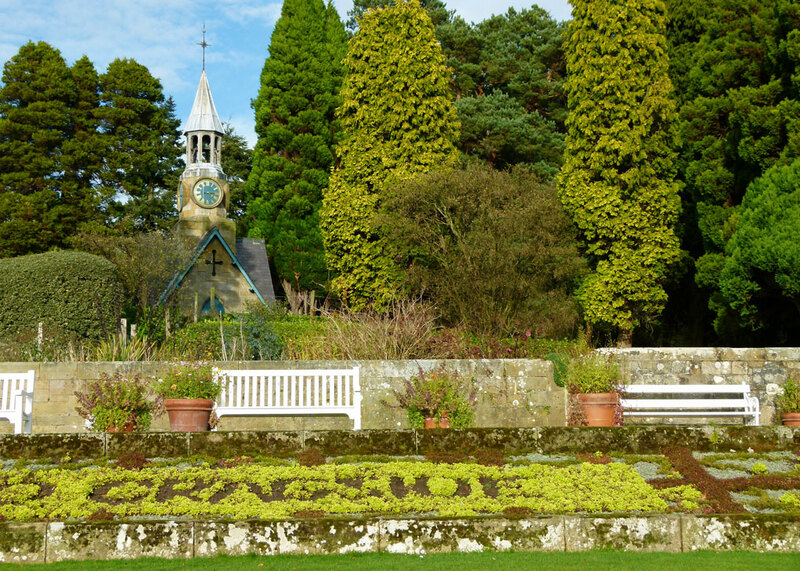 Cragside is one of my favourite places to visit, there is so much to see and do there. The formal gardens are in my top 5 list and they are stunning in September when the Dahlia’s are out. Earlier in the year the Rhododendrons bring colour to the pleasure drive. 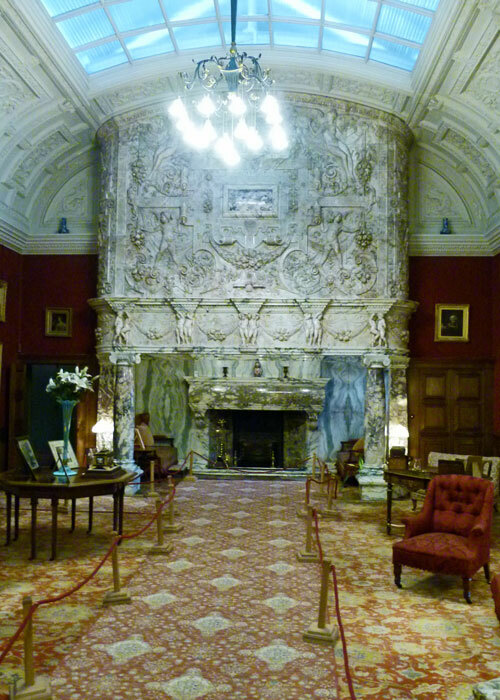 The room with the marble fireplace was built in honour of the Prince of Wales visiting Cragside, which is why it is rather ostentatious. 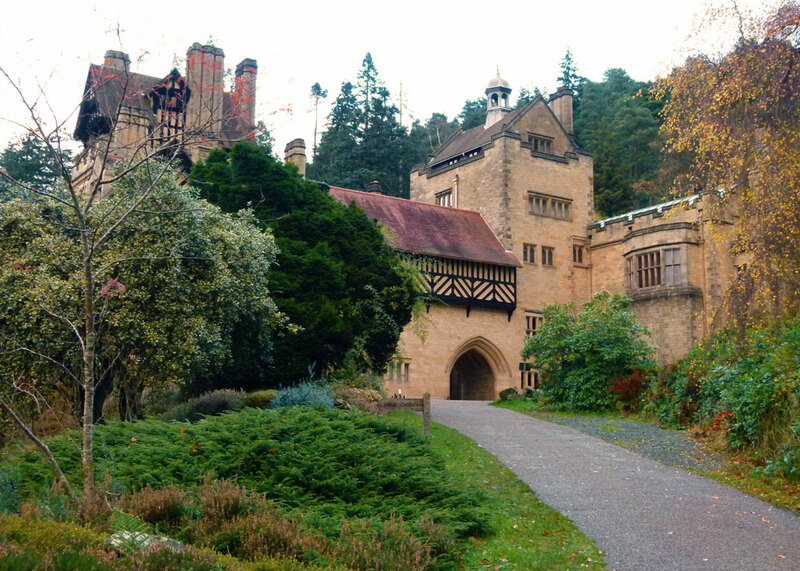 Seeing your photos makes me regret not visiting Cragside on my recent trip to Northumberland. Oh dear – food is an important component of a good welcome, while not accepting the meal is not up to scratch and not getting a response of any sort .. is plain bad customer service. Certainly quirky. I’ve had a couple of runs in with over officious NT volunteers recently. It’s beginning to put me off to be honest. 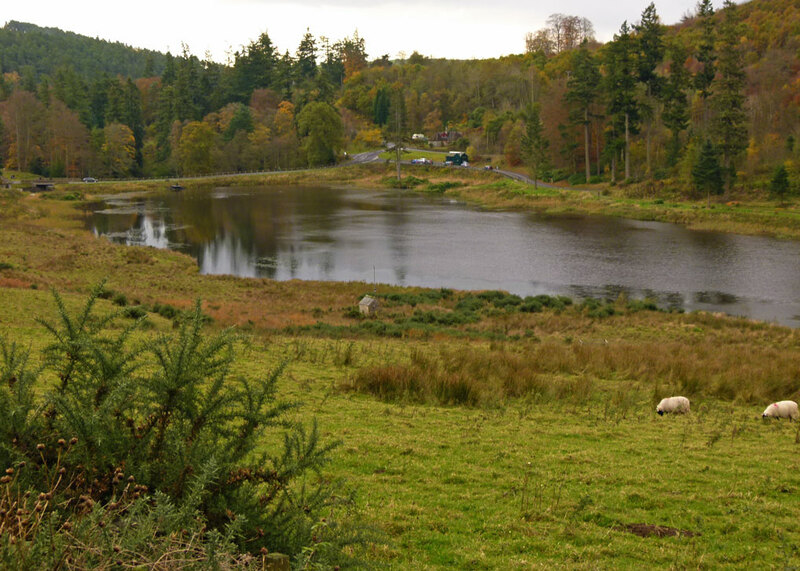 The grounds of Cragside look lovely though. The grounds look better than the house. The interior is very busy which I find unusual for an engineer. He certainly was a clever clogs. Nothing worse than poor food and poor customer service to spoil an outing. I’m amazed you were allowed to take photos inside. We loved our visit here – must be about 14 years ago now! Loved your photos – your comment on the crated tank gave me a giggle! 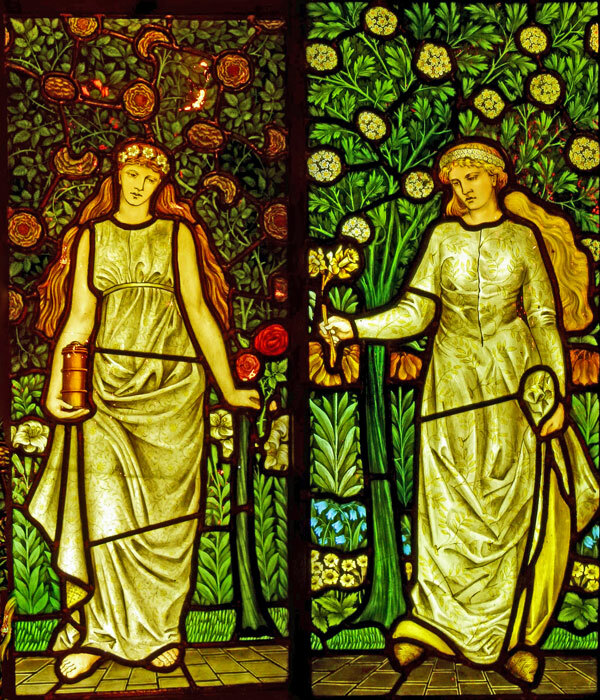 The Morris windows are fantastic! Thanks for taking us on another excellent “trip”. I, like you, am always surprised that companies or institutions don’t jump on customer relations complaints in a New York minute, but sadly, most don’t. Wow, quite a place. Like you, not much to my taste. What a fascinating person he must have been. Too bad about their customer service. 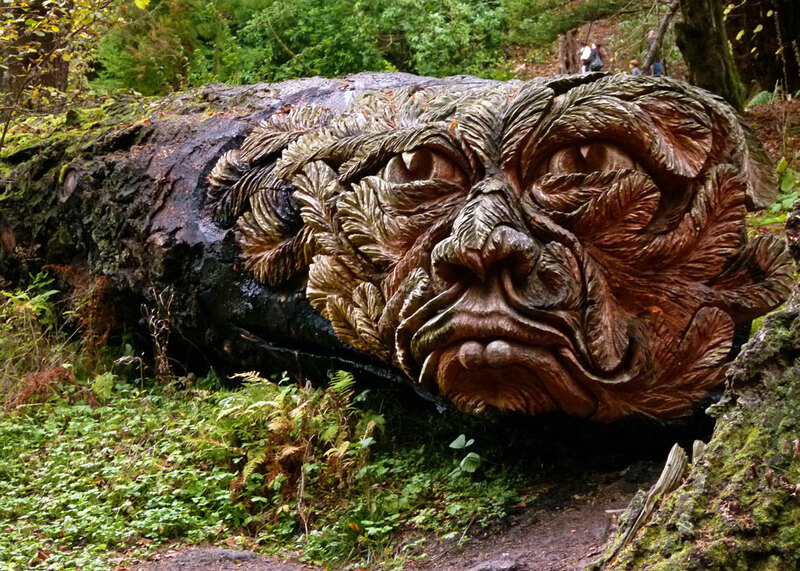 I want the carved creature for my 6 acres. Wouldn’t that be a hoot!? Thank you for sharing the story. It looks like an impressive and beautiful place to visit. This looks like a lovely estate to wander about, I would love to see the gardens. I will be forewarned about the beef dish, sounds nasty. You cracked me up about tasting people, but yes, I think some deserve it.